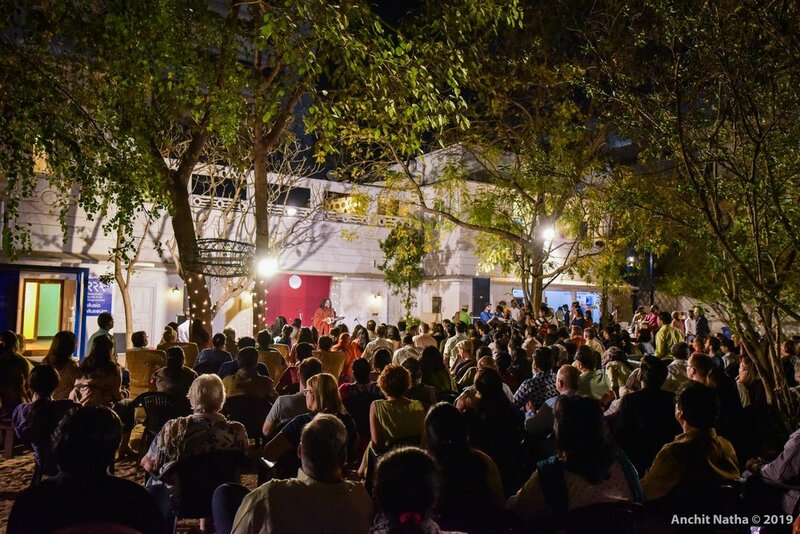 RAJASTHAN x PERU, a special performance by world-class musicians blending Peruvian and Rajasthani folk music supported by Rajasthan Rural Arts Programme, an initiative of Jaipur Virasat Foundation, was enjoyed by a gathering of 300+ people of all ages. 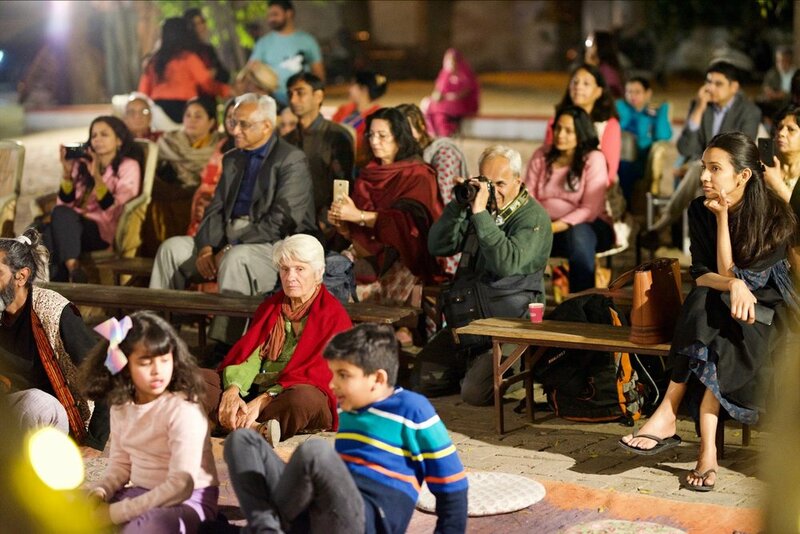 Performances showcasing Peruvian and Rajasthani traditions in their pure form were premiered. 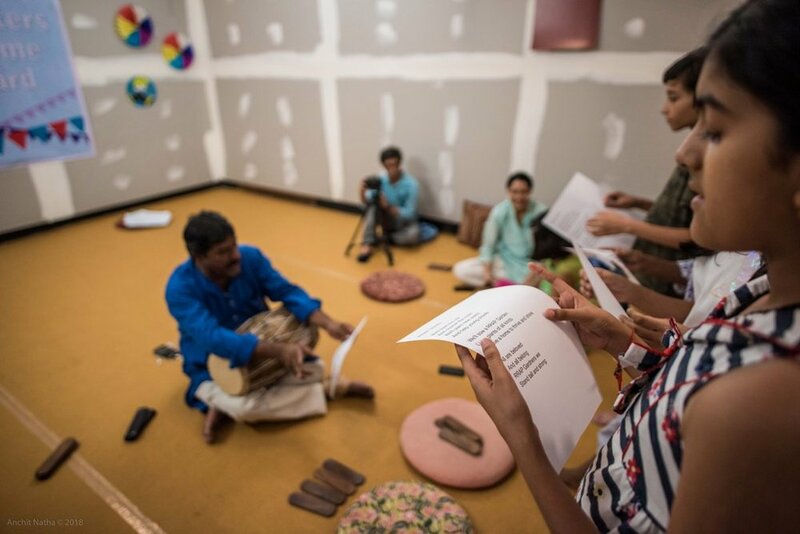 The music pieces arose from a 2-day workshop hosted by RRAP where all the musicians worked together to develop an innovative project marrying Rajasthani and Peruvian melodies, rhythms and textures, elevating the project initiated by music producer Tomas Diaz during the first RAJASTHANxPERU concert in September of last year. We were delighted to welcome internationally-acclaimed folk musician and award-winning film musical director Chano Diaz Limaco. He is a multi-instrumentalist specializing in beautiful Andean instruments Charango, Quena and Zampoña/Panpipes to name a few, coming from a long tradition of musicians from Ayacucho. He has taken the Andean traditions all around the globe in solo performances, and this was his very first concert in India. 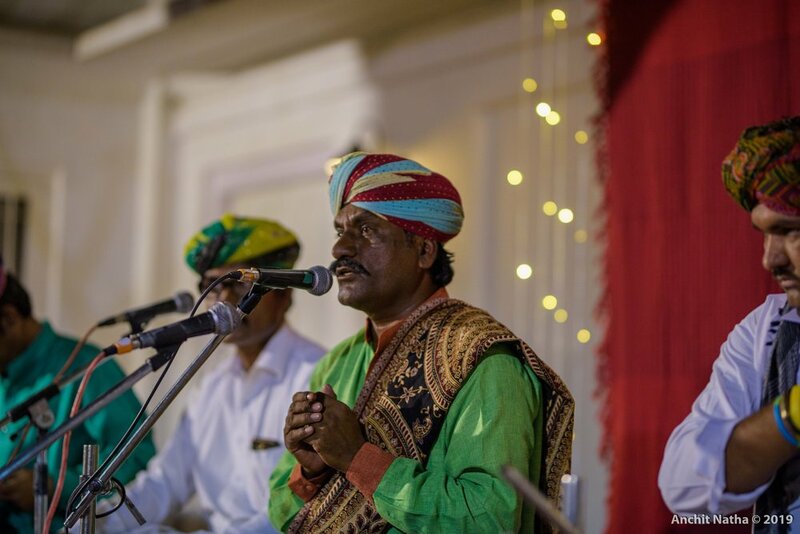 He was joined by a gifted group of renowned Rajasthani folk musicians led by Gazi Khan Barna. He features heavily in RRAP Music Museum & Hub, showcasing his master Khartal skills and sharing deep wisdom through interviews. He featured as a musician in the film Latcho Drom, and sang 'Baisa Ladka Ghana', for award-winning film Parched (Leena Yadav, 2015) He has performed internationally taking our Rajasthani sounds with him. 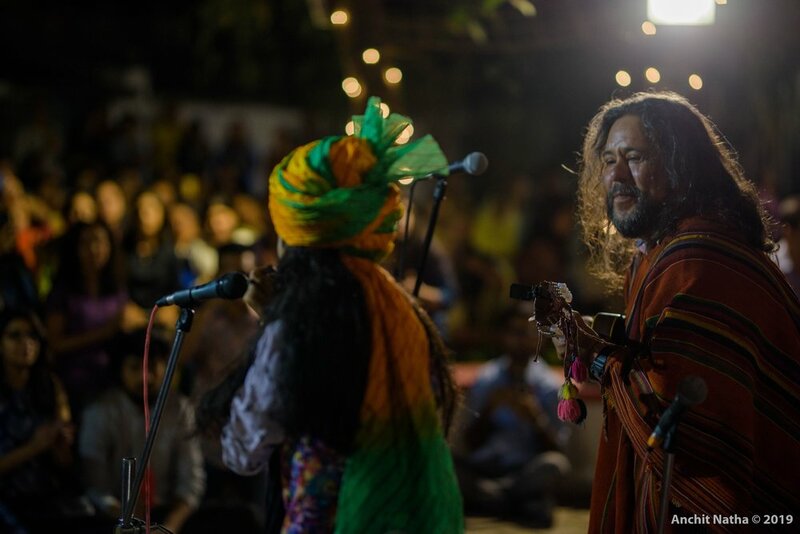 Completing the group were be Talab Khan Barna on Vocals, Firoz Khan Manganiyar on Dholak, Bhawru Khan Langa on Sindhi Sarangi and Harun Khan Langa on Algoza and Tomas Diaz Limaco on guitar and Mamta Sapera on Khartal. We invited Sumitra Kamad, an internationally-acclaimed folk singer and songwriter from the village of Jaitaran (Pali). 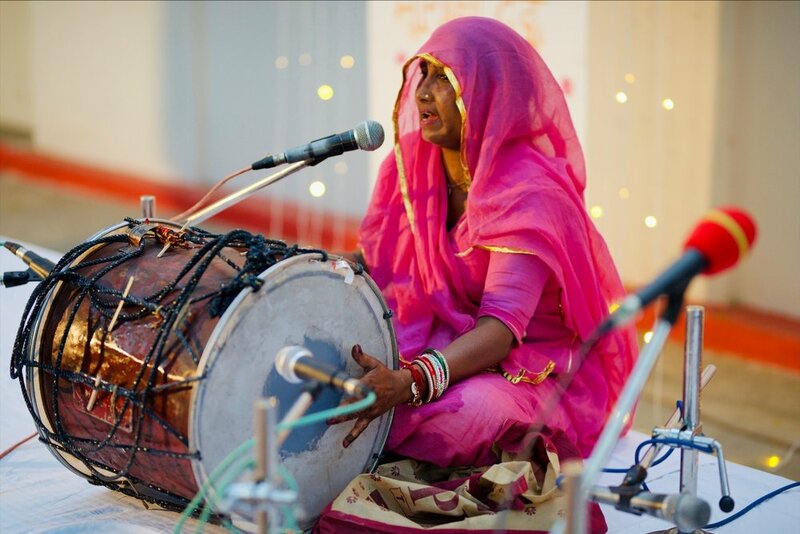 Sumitra has long been a folk emblem and an inspiration for many followers of Rajasthan’s living traditions, having performed in festivals nationally as well as around the world. 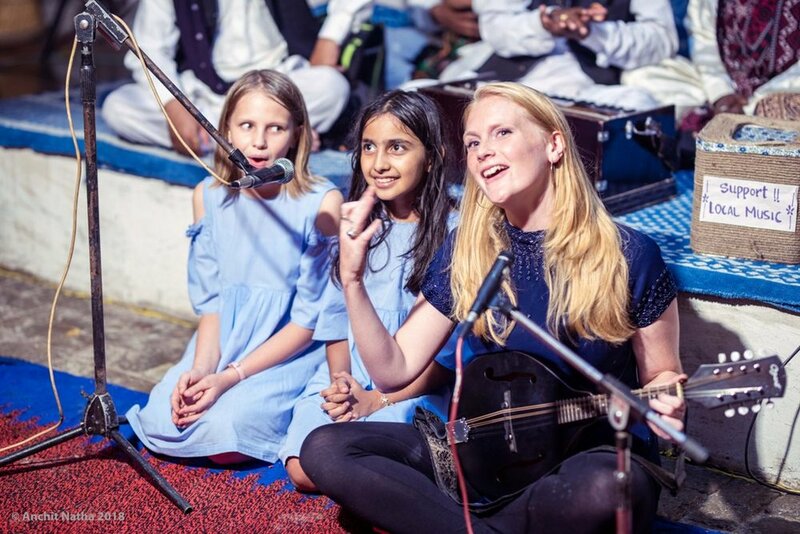 She was notably an integral part of the “Dharohar Project” where she collaborated with renowned global artists Laura Marling and Mumford & Sons. 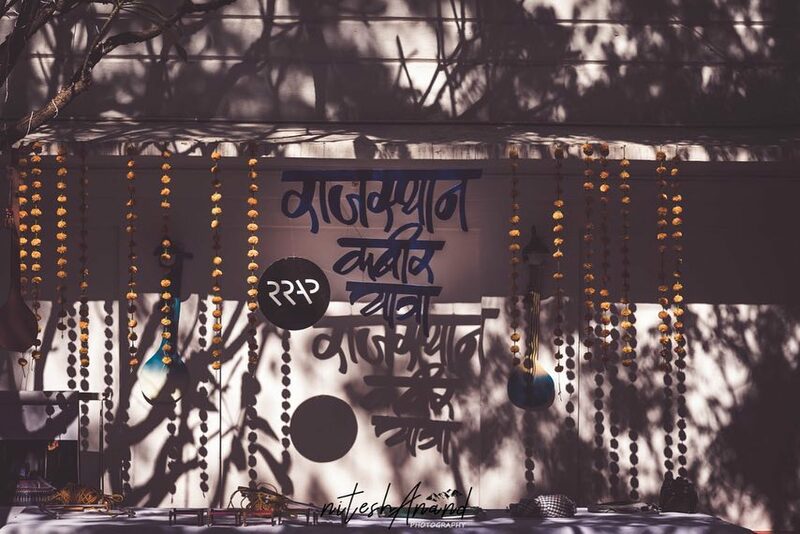 A symbol for the future of women in Rajasthani folk, we were delighted to welcome her to the RRAP Music Museum & Hub for this very special day. 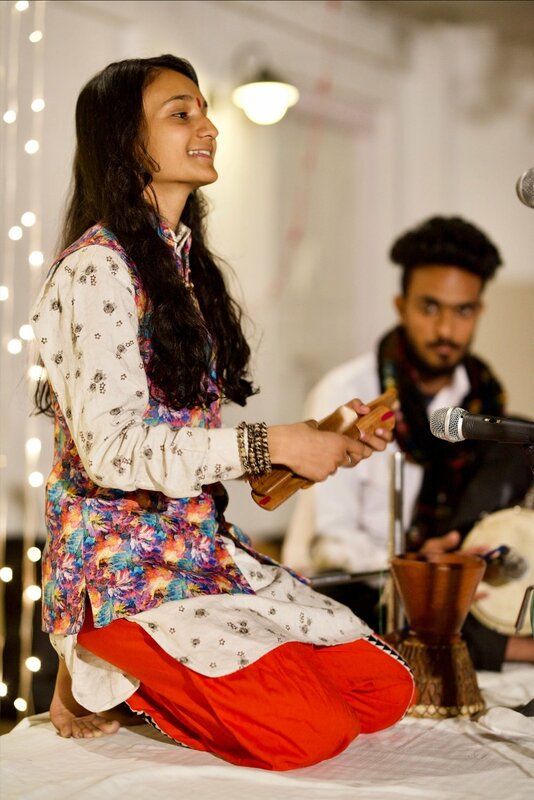 Joining her was Mamta Sapera, a young percussionist from a Kalbelia family, who showcased her rhythmic skills alongside a folk musician who provided base beats on the dholak. Having opted to refrain from the customary dance training of her community in favour of bhapang, morchang and khartal, we witnessed her rising talent in what we saw as a perfect example of female musical conviction. 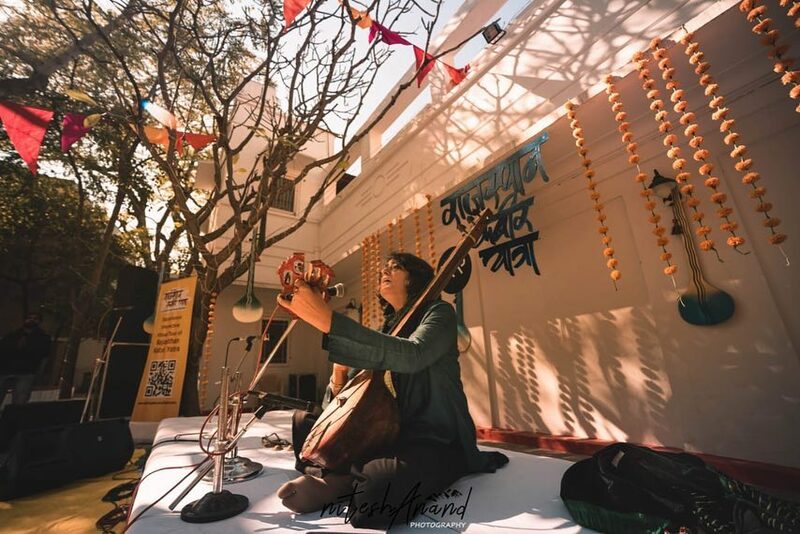 Maina Devi, a singer and percussionist from the Dholi community, and Priya Sharma, an architecture student and up and coming singer based in Jaipur completed the greatly varied line-up. We also hosted 2 women led pop-up cafes to cater to the event. 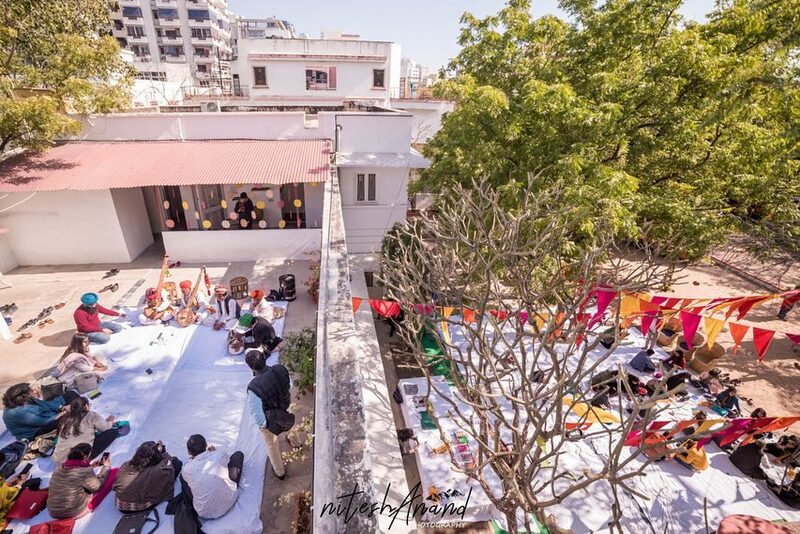 We used the event as a statement of intent, as all donations raised from the event and from our newly live online fundraising campaign will to go toward future workshops and performances which will look to empower the women of the folk music community in Rajasthan. We hosted an evening of celebrations with Holi songs of rural Rajasthan with Nek Mohammad Langa on vocal and harmonium along with his group members: Kasam Khan, Aayub Langa and Sakur Khan from Badnava Charnan. 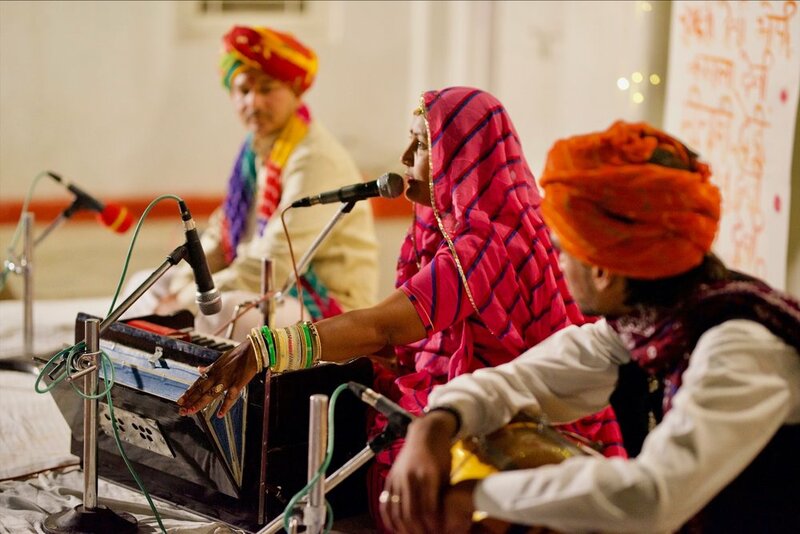 They peppered their usual repertoire with songs traditionally performed during Holi demonstrating the tendency of much of folk music to be associated with particular celebrations. 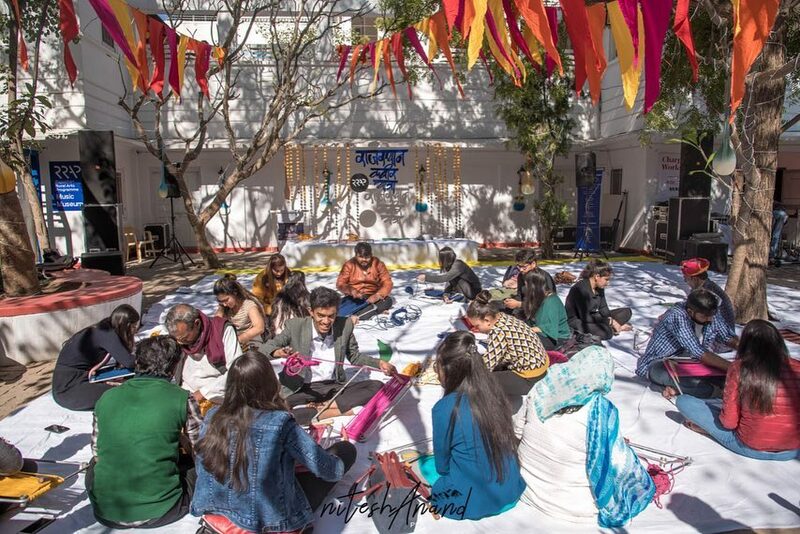 We also hosted a pop-up cafe during the event. An exploration of Rajasthan’s Bhakti Tradition through Kabir and Meera by Mahesha Ram and Shabnam Virmani. 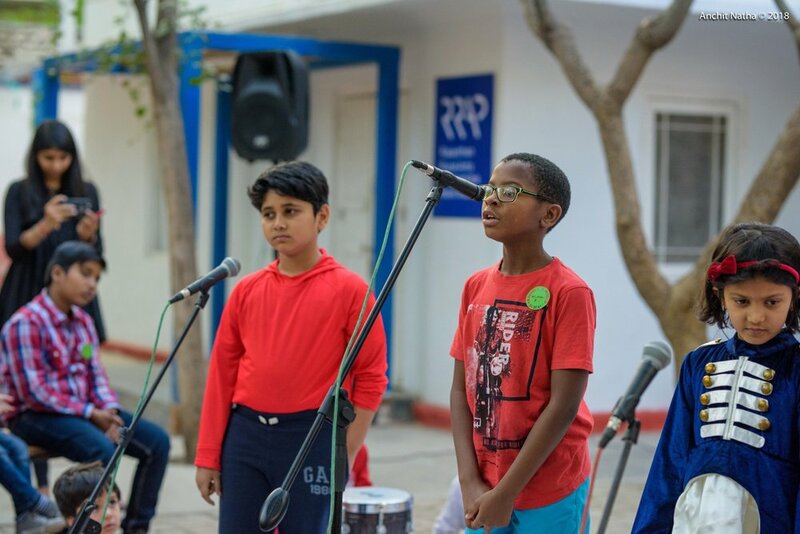 Over the months of October and November the RRAP Music Museum & Hub hosted fun music making sessions for the children of Jaipur. The workshops were led by Sally Jaquet, a community musician from Scotland. 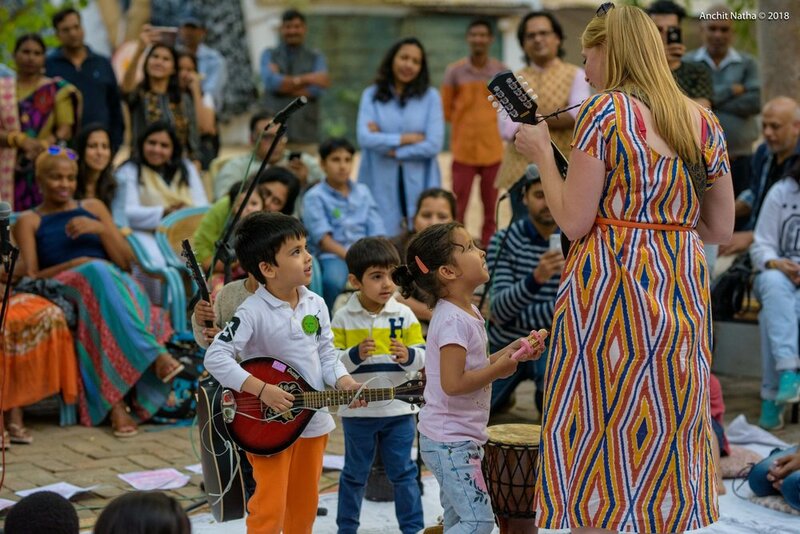 The aim of the workshops were to introduce the participants to folk music from all around the world - to engage them with different communities and to highlight the importance of their own musical heritage in Rajasthan. 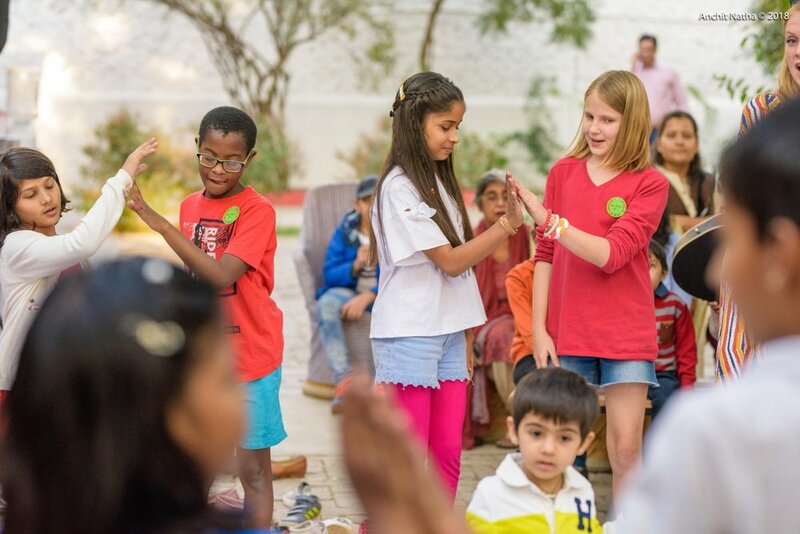 They learnt songs, dances, and cultural practices from different countries including Brazil, Nigeria, Australia, Scotland, Fiji, Zimbabwe and many more. 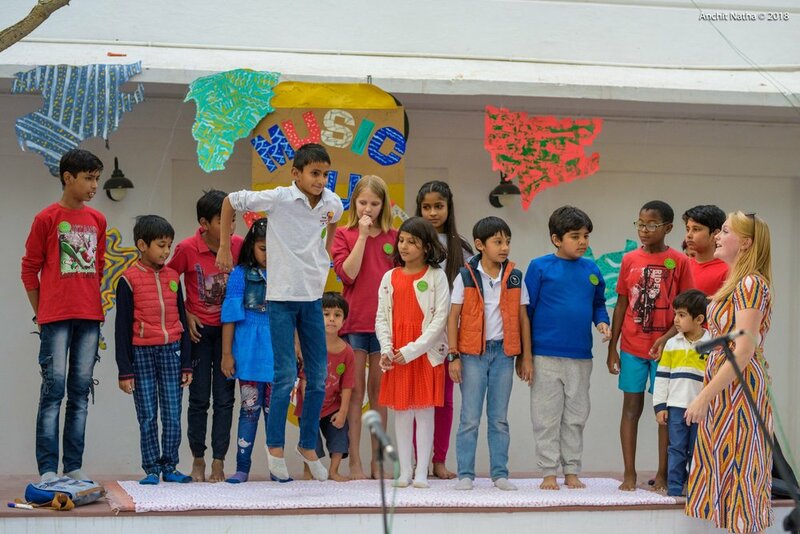 The workshops concluded with a final performance ‘Music around the world’. 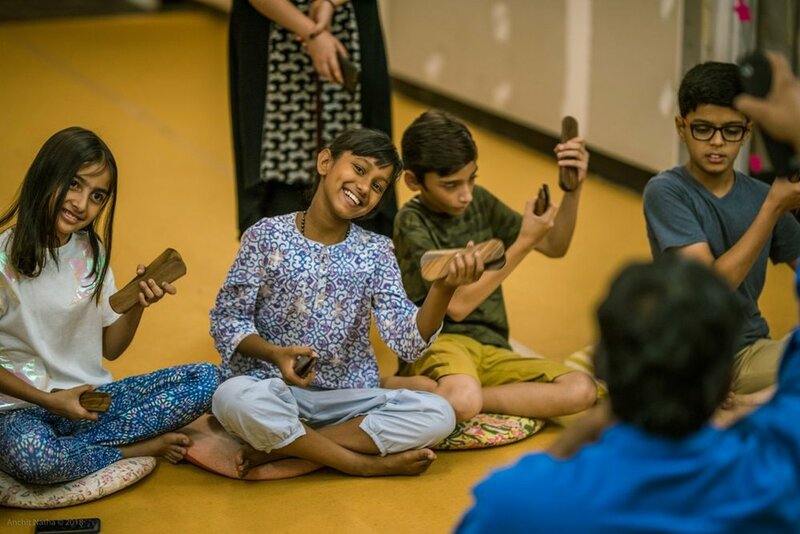 The children received a specially designed CD of the songs they learned during the workshop, which was produced after they participated in sessions in our studio. Jason Singh and the folk group ‘Momasar Ensemble’ and saxophonist Feroze Khan collaborated over an 8-day long project where the participants developed an innovative performance which culminated in a 90 minute show inspired by Shah Latif, Baba Farid, Bulleh Shah and other poet mystics from North and Western India. We saw it as music for today encapsulating soundscapes and field recordings, and it created an immersive, sonic experience for the audience. This project is ongoing and we will look to produce future performances and recordings. Where folk musicians, local musicians, and citizens gather in an open jam format and celebrate the power of music to dissolve boundaries and create new music. A monthly series of interpretations, evening talks and conversations around the region’s musicians, styles and genres, and their roots and traditional context. 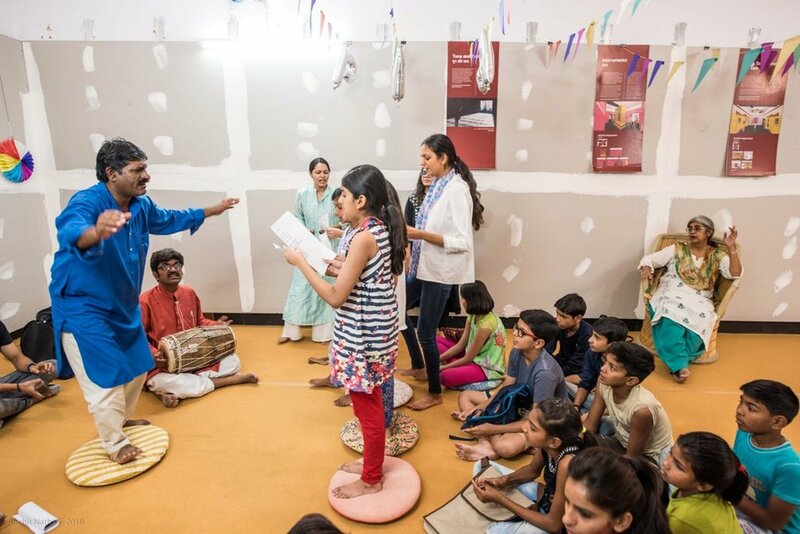 A 10 day camp for kids and adults to learn music, theatre, painting and singing from the artists. A summer camp was organised from 16-25 May, 2018 at the RRAP Hub in Jaipur. 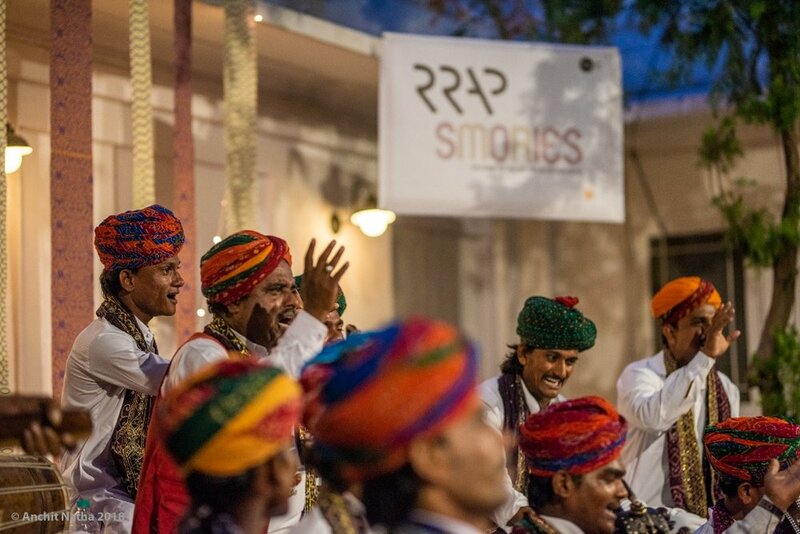 The RRAP Summer Camp adopted an innovative approach to expose the folk music traditions of Rajasthan to a diverse urban audience. 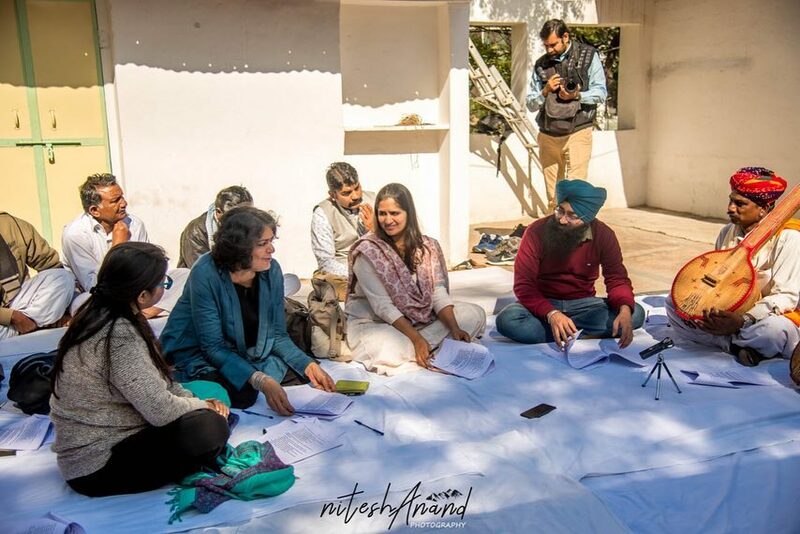 Aligned with the vision of RRAP, this was our attempt at re-visualizing the traditional practitioners as teachers and the urban youth as the next generation of learners- future keepers of these traditions, as also the audiences of tomorrow. Learning from the masters of varied forms, children and adults explored Percussion and Rhythm through Khartal with Gazi Khan Manganiyar, Bhapang and poetry with Jumma Khan Mewati, folk songs and lyrics with Anwar Khan Manganiyar, as well as folk narratives through Phad painting with Vijay Joshi and theatre with Neeraj Kadela.